Global2 is managed by the Department of Education and Training (DET). All the technology and technical support is provided by Edublogs. Initially teachers and students used Global2 for blogging. It now used for a variety of purposes including: for digital portfolios; as a way to teach students about technology and social media; as a means of applying some of the knowledge and skills from the Victorian Digital Technologies curriculum. You’ll find the complete Edublogs User Guide here. The DET has a licence for all Victorian Government and Catholic Schools to use the service. Schools are able to set up student, class, teacher and school blogs. Students must use their school provided email account to have an account on Global 2. Global 2 uses limited email registration to restrict who can set up an account. We have tried to list all school accounts to allow automatic set up. If you experience difficulty signing up please contact global2@edublogs.org to have your school domain added. Schools who have international partners or sister schools are able to invite these schools into the Global2 environment to undertake collaborative projects with their school. Think of your school as being their chaperon. Contact digital.learning@edumail.vic.gov.au to request permission to undertake a collaborative projects with a sister school or outside organization. Global2 presents a management hierarchy for teachers to setup and support their students using My Class. Teachers MUST be administrators or assigned the role of teacher on their students’ blogs. 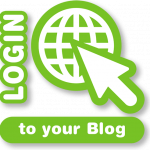 All blog owners including students must have an email account to allow them to manage their account. All student email accounts must be able to receive emails from Global 2.
Who can see my blogs? The current default for a Global2 blog is that the blog is open to a see audience but created in a way so that no search engines will discover it. The link would need to be shared. Global2 is powered by CampusPress and we are eligible to participate in all Edublogs activities including Student Blogging Challenge and Teacher Challenge. We aim to provide access 24/7. Global2 can be accessed and used on Mobile devices and features technology allowing users to blog, Wiki, message board and add (or embed) and connect other technologies. Create your first blog using the Sign up page. Login to your account using the Login page. Teachers must consider what to do with the blog once their students leave their school and/or a project has ended. Unsupported out of date blogs may present your project or school badly. They risk being the location of unwanted spam and comments. You must have an exit strategy. Some schools have chosen to give their students (with informed consent from parents) a graduation present with their blogs exported to another blog community – (Edublogs is a good one to consider) as it extends their their educational portfolio. Other schools have given their students an opportunity to export their own blog content and then closed the blogs down.